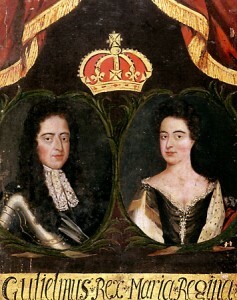 In 1664, the Spanish relinquished control of Jamaica to the British and Sir Thomas Modyford divided this fair isle into seven administrative units known as parishes. These were located mainly in the mid to south-eastern end of the island: Clarendon, St John’s, St Andrew’s, St Katherine’s, Port Royal, St David’s and St Thomas in the East. As we know, Jamaica has undergone several parish evolutions since then, leaving us with the 14 we know today. We’ve already shared some quick facts about the parishes of Portland, St Thomas, Kingston and St Andrew as part of Parish Pride month. Today, we revisit these parishes to find out more about how they got their names. Portland was named for William Henry Bentinck, first Duke of Portland, then governor of Jamaica and the person who signed the order for the parish to be created. He was the second, but oldest surviving son of Hans William Bentinck, the first Earl of Portland and his wife Anne Villiers. Bentinck was given the title first Duke of Portland and Marquess of Titchfield in 1716, largely in memory of his illustrious father. He inherited vast estates, but suffered heavy losses when the South Sea Company failed in 1720. The crash devastated institutions and individuals alike and a year later, formal investigations uncovered a web of deceit, corruption, and bribery for which many of the major players – including both company and government officials – were prosecuted. As a result of this financial disaster, Bentinck accepted the post of governor of Jamaica. Unfortunately, he died two years later at the age of 44. In addition to the Portland name, Titchfield also continues to live on in the parish. St Thomas was named for Thomas Hickman, Lord Windsor, then the governor of Jamaica. He was the son of Dixie Hickman and his wife Elizabeth Windsor, sister and heiress of Thomas, 6th Baron Windsor. He succeeded to his family’s estate around Hewell Grange near Redditch in 1645. In 1660, the title of Baron Windsor was called out of disuse in his favour. The title had last been held by his maternal uncle Thomas. He served as the governor of Jamaica from 1661 to 1663. 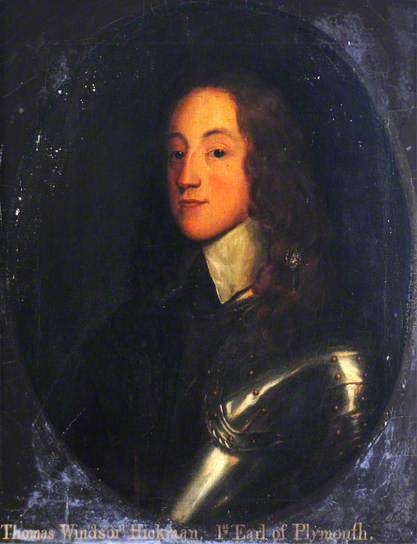 On December 6, 1682, Windsor was created the first Earl of Plymouth. There is another argument that the parish was named for Sir Thomas Modyford, who is mentioned in our introduction. However, some historians have argued that the parish, was so called before the arrival of Modyford in 1664, so Lord Windsor is the one St Thomas was named two years prior. Kingston, we learned, was formerly named Beeston after Sir William Beeston, who served as Lieutenant Governor of the island from 1693-1700. It was said to have been given its current name in honour of the king of England. A letter from Port Royal dated July 3, 1693 referred to it being known by some as “Kingston” and others as “Killcown.” It is unclear which king the parish was named for, but going by the 1693 date, it would be likely be William III, who was made joint monarch with his wife (and second cousin) Mary II. A 1689 Parliamentary declaration was made that Mary’s father James II had abdicated by deserting his kingdom. 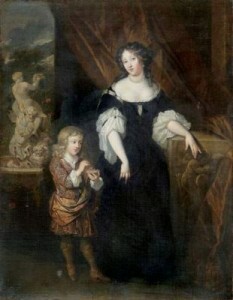 William reigned from 1689 to 1702 and Mary from 1689 to 1694, when she died of smallpox at the age of 32, without an heir. The parishes of St James and St Ann are named for her parents. It is unclear how exactly St Andrew got its name. One of the oldest churches in the country, St Andrew Parish Church, was named after the apostle and patron saint of Scotland, so it’s possible that this is how it came to be.